Veloce ® cycling and bike rental company : Cycling the Sorrento and Amalfi coasts. High quality hybrid bikes for rent in Sorrento. Cycling the Sorrento and Amalfi coasts. High quality hybrid bikes for rent in Sorrento. 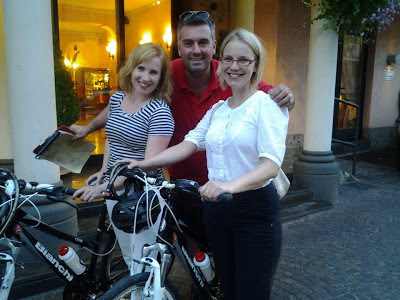 Today we want share this picture taken at Hotel del Corso in Sorrento where our company delivered 2 high quality hybrid bikes provided for rent to our Finnish customers. Our customers enjoyed the Sorrento and Amalfi coast by bike with daily excursions.